“Composing and arranging for ‘Spokeswoman of the Bright Sun’ was one of the most joyful experiences of my recording career,” Ingunn recalls, “I’d bought a Mellotron from Stockholm that I was very excited about, every different string arrangement was like a different color in an impressionistic painting, I was able to incorporate from my musical heritage, the hymns and the folk songs of my Grandmother, to my own style of minor and major walking hand in hand. Working with Mark’s original material and unpredictable chord progressions has been the highlight of my musical journey, it’s like I’m standing in the desert holding a gemstone in my hand”. 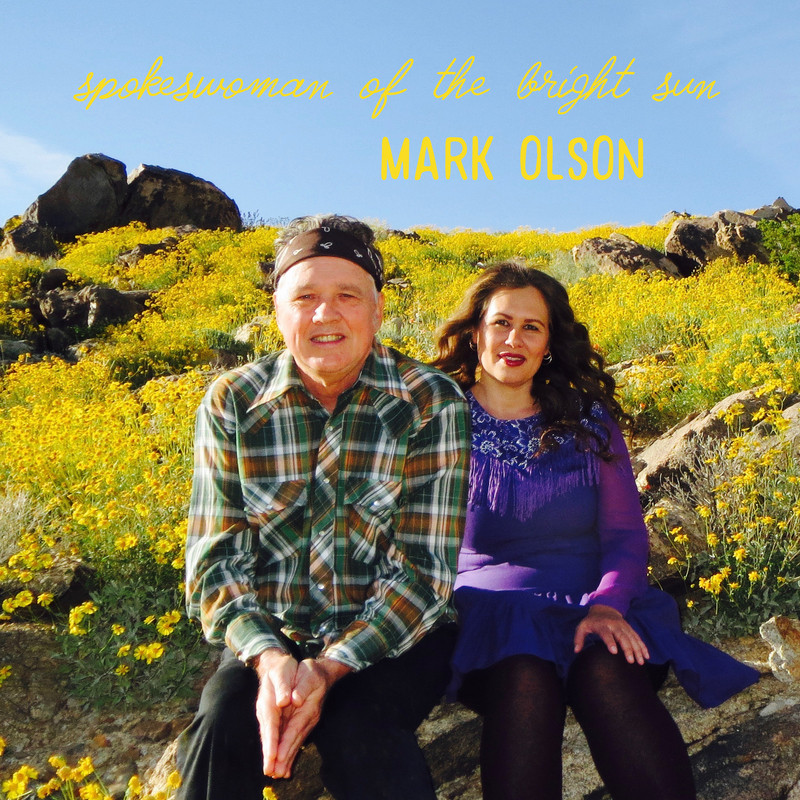 Mark Olson was born and raised in Minnesota by a family of mostly farmers and school teachers. He has been involved with musical instruments since the age of twelve and is self -taught for the most part and uses alternate tunings and two-part unison singing followed then by breaking off into harmony in his writing and live performances. He lives now in the California Desert with his wife Ingunn Ringvold. Mark and Ingunn tour off and on internationally almost every year.